ISE'S STAFF INCLUDES A LICENSED AND PRACTICING BUILDING CONTRACTOR WHO CAN ASSESS TRADESMEN ISSUES SUCH AS WORKMANSHIP AND NEGLIGENCE IN BUILDING CONSTRUCTION RELATED SITUATIONS. 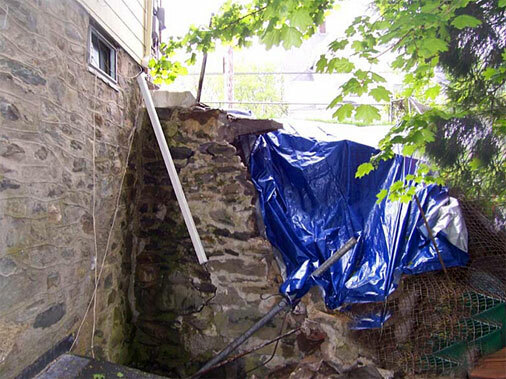 ISE's Structural Engineer can address building impact and structural damage. These kinds of losses to buildings can be caused by fires, impact, explosion, or numerous other situations. In addition, code issues that lead to building failure can be determined by the Structural Engineer. For starters, the foundation of a building can fail due to poor construction practices, substandard materials, inferior workmanship, and infiltration of moisture (as evidenced by the moss in this retaining wall photo). One of these, or one of many other causes, can be confirmed by an ISE investigation. Settlement happens when parts of the house drop below the elevation or height at which they were built. This can be caused by frost heave, improper compacting of soil under the foundation, compression stress caused by insect damage, and many other factors. ISE will conduct a structural engineering investigation to determine the cause of a building settling. 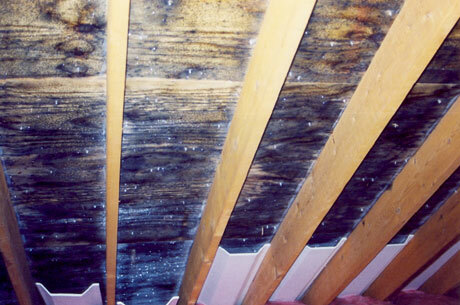 Roof damage can occur from age, wind, ice, defective materials, and a host of other causes. ISE has the tools and talent to determine the cause of failure beyond any doubt. 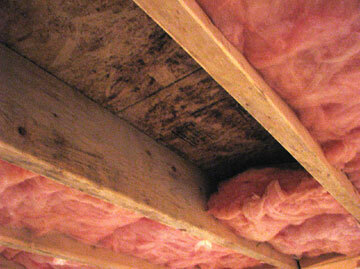 to investigate all types of mold losses. Quickly and quietly, mold forms, grows, and destroys furniture, appliances, walls, house framing, and everything else in its path. By conducting a complete site assessment, we can determine if the owner, a contractor, or perhaps the maker of faulty materials is responsible for many types of mold losses. We use infrared imaging and sophisticated moisture detection equipment to see if burst pipes, ground water, faulty construction, ice dams, improper insulation, or anything else is the cause of mold growth. With spring comes evidence of mold growth in attics and hidden areas caused by inadequate insulation and ice dams over the gutters. 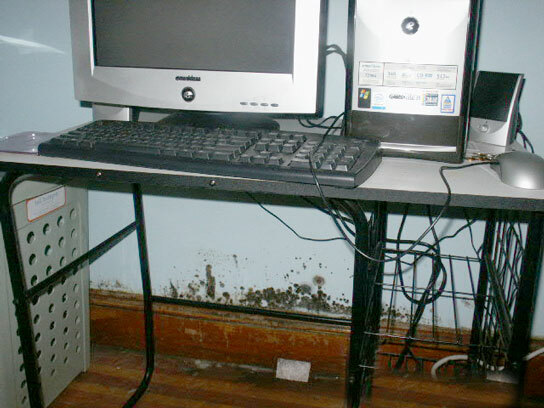 The mold spreads quickly and can build up inside walls to produce damage like this. 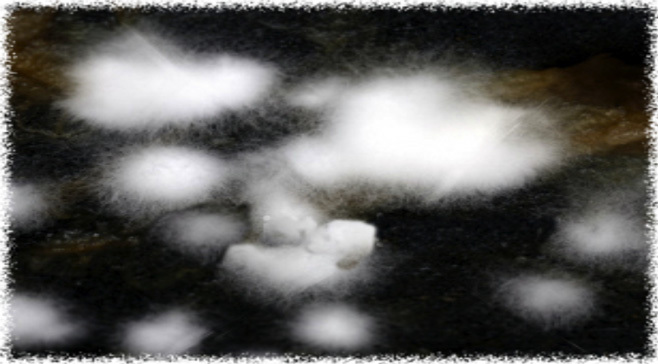 Other sources of mold can include leaking pipes to groundwater or even a malfunctioning furnace's humidifier. If mold formation is extensive, we can provide an industrial hygienist or laboratory support personnel to identify strain of mold, timeline of growth, and degree of health hazard. Many of our mold losses throughout New England are handled by Kevin Davis, P.E., a licensed Professional Engineer and a certified mold inspector. ISE has licensed contractors from various trades in the event that an opinion on standard practice in the trades is needed. Issues such as workmanship, code compliance, and building materials can be more fully understood by combining engineering principals with trade practices in the final evaluation. 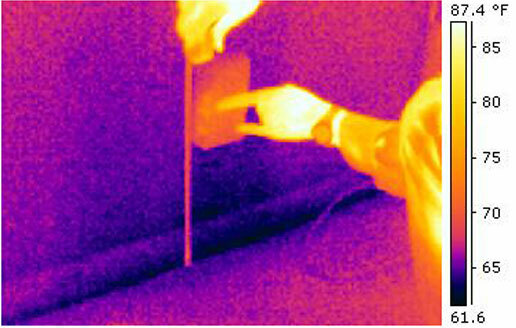 In this case, we worked with a Building Contractor to determine the cause of problems with hardwood flooring.